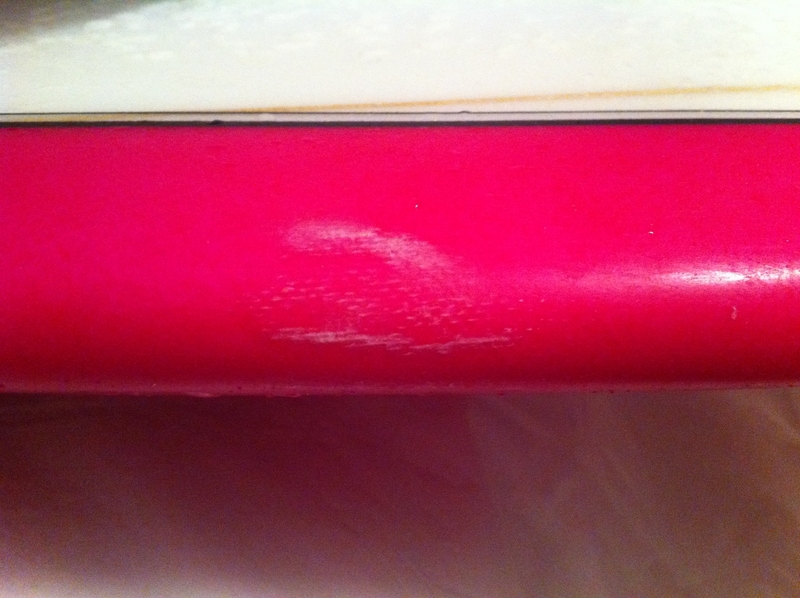 I tried to sneak by on a sweet little left hander and I paid the price. I have managed to crack the rail on my beloved longboard so it has to go to Dr Paul Fluin at Diplock Phoenix on Saturday. It looks like there will be a perfect little longboard wave this weekend too. Karma for being greedy and dropping in. Thanks to Bro and Paul at Diplock Phoenix, my birthday present was quite exceptional this year. A gift from my husband who decided that it was time for me to learn to glide on something with a bit more length! The dimensions of my new board are 9’0″ x 21 3/4 x 2 3/4. 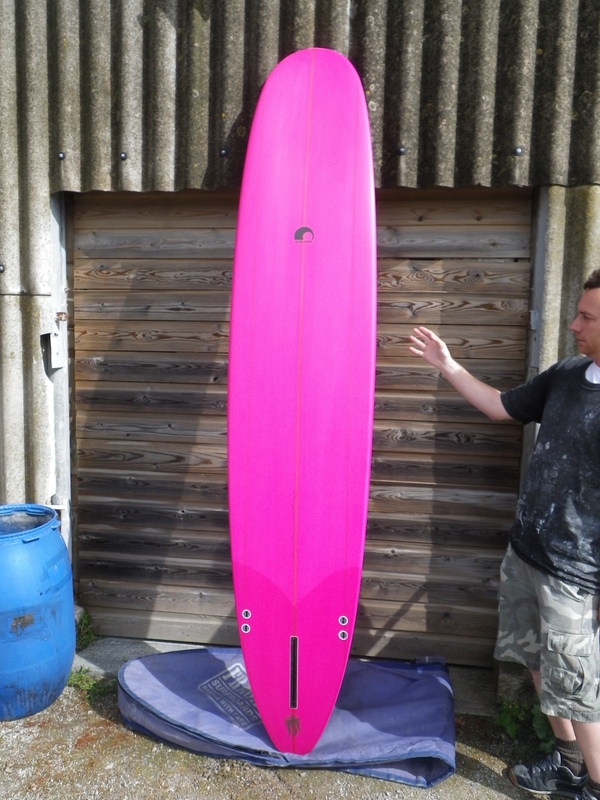 It has a square tail with a triple stringer, 2 plus 1 FCS fin set up and perfect pink resin tint. Enough to put a smile on any girls face. In laymans terms, what the above means is that for a shortboarder who turns on her rails (like me), the board is a blessing. The board is a hybrid, and compared to a more traditional mal, the fins are situated further towards the centre of the board and the tail is narrow and drawn out. This means it is incredibly manoeuvrable and generally more forgiving, especially for someone who is not used to having to take a step back to turn a board. The unique design of the tail will hold its position in the wave much like a large single fin. With a traditional nose, if my longboarding progresses and I manage to cross more than one step forward, the board will be perfect for classic tricks such as nose riding and hanging five or ten.